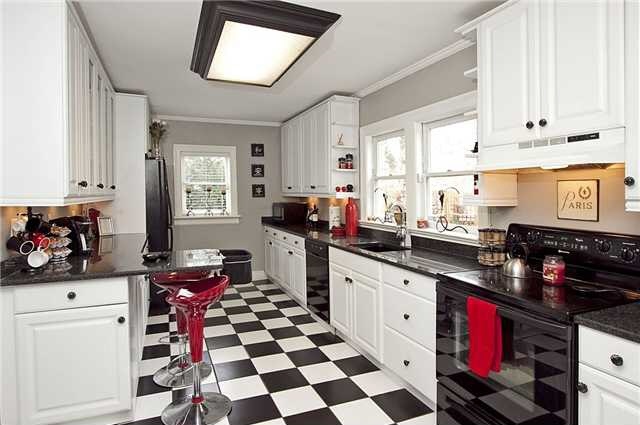 Renovated and enlarged, this all brick bungalow is an engaging architectural potpourri with a SoHo kitchen, arches, niches, hardwoods, French doors, broken terrazzo tile porch, and craftsman style deck. It is a big house with 2,476 finished square feet. 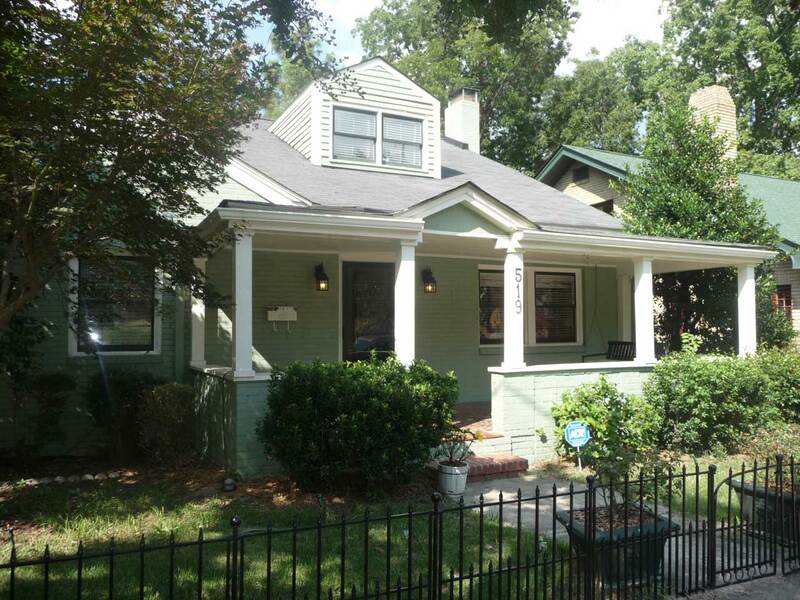 Built circa 1940 by Samuel & Matilda Goldin on an architecturally eclectic block of homes in vibrant Historic Oakwood and a block away from the Side Street Restaurant. Oakwood is a walking neighborhood of front porches. Yours is 23 feet long, south facing. 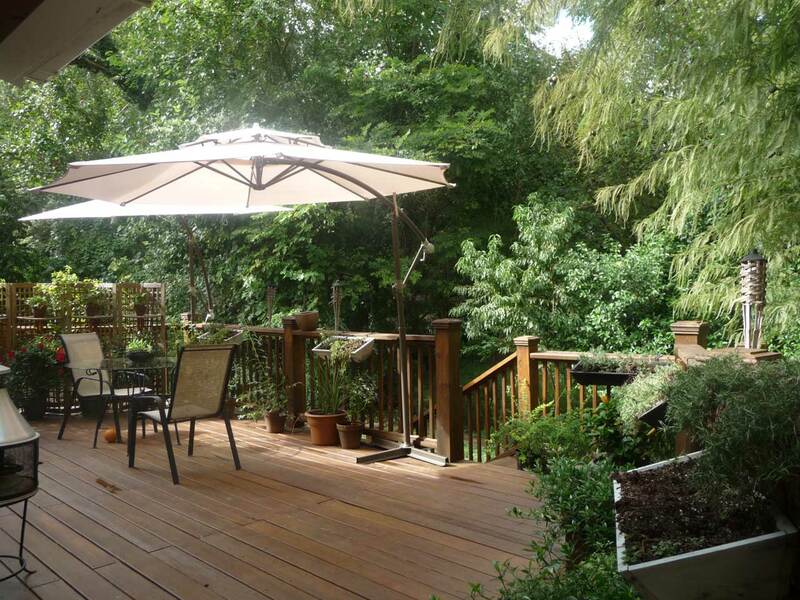 Bright and open - almost 50 feet long is the combined length of the LR, DR and sunroom/den/office with double French doors at the south facing front of the house. The fireplace is masonry. 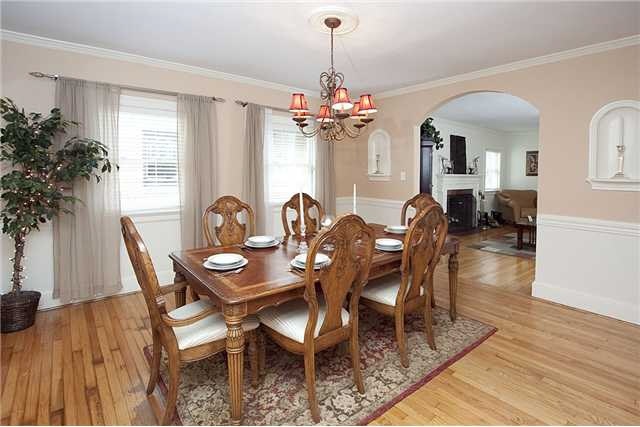 Arches, niches, hardwoods and light create an elegant formal room. Another arch accents the long central hall with lots of gallery-like wall space for paintings and family pictures. The SoHo kitchen includes open shelving not visible here for practical storage or exhibiting knick knacks. The double windows overlook the back deck that opens to the kitchen through a small covered porch. 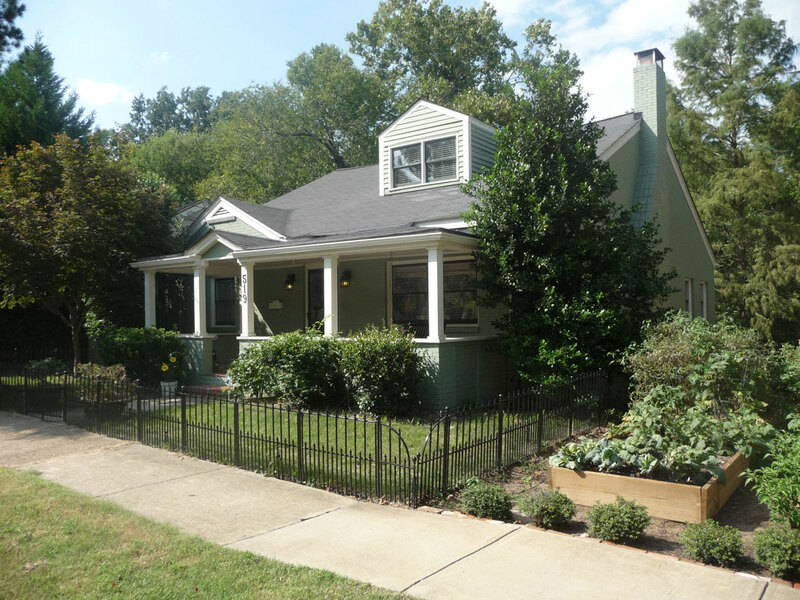 The craftsman style deck is steps away from the shared access driveway, private parking, and a two level, partly shaded yard. 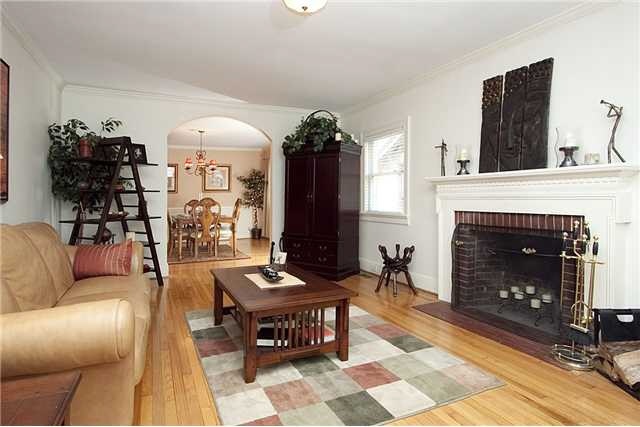 A partial basement with inside steps that also opens to the yard could be a workshop or exercise room. 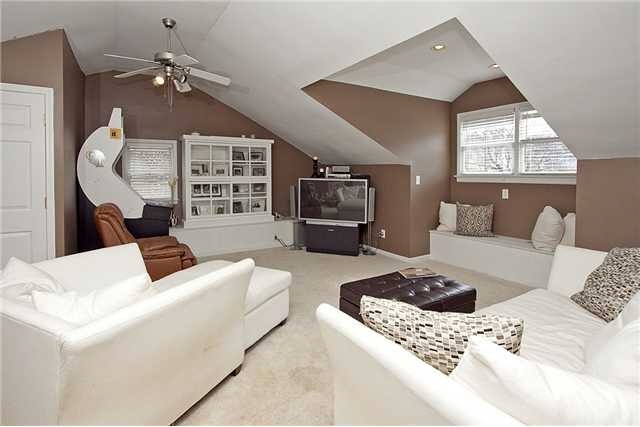 The family/rec room upstairs is an extraordinary flex space with window seat storage. One of the nooks and crannies is used as an office next to a large walk-in closet. 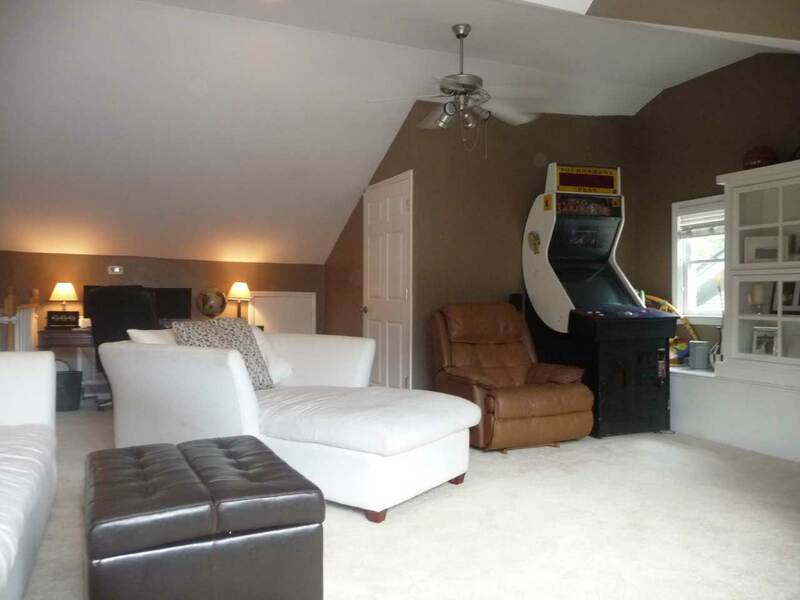 Think of the upstairs as a suite for owners, teenagers or in-laws. 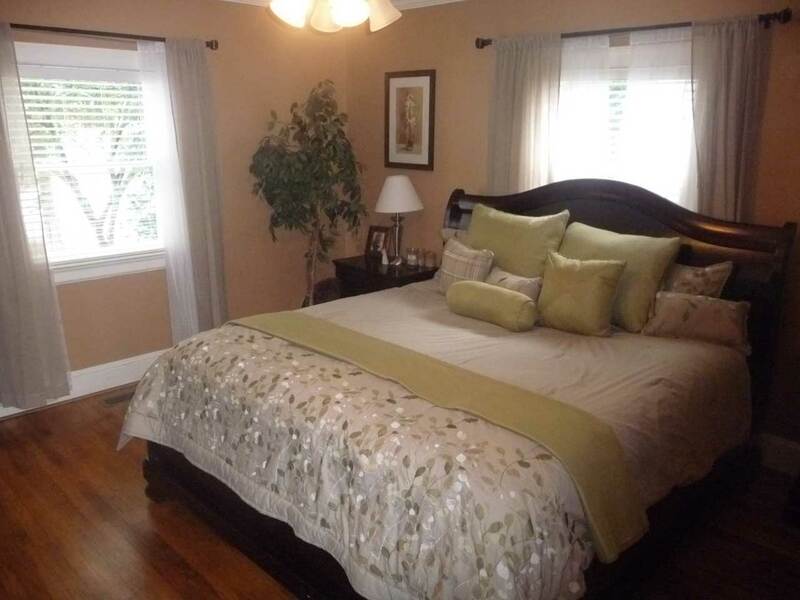 The 15x13 front bedroom is now used as a master. 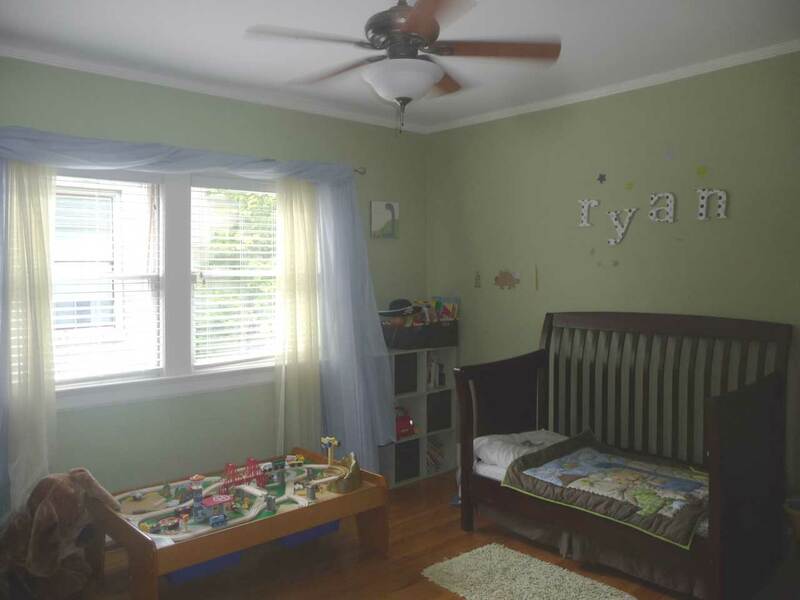 Ryan's bedroom has double closets and windows. 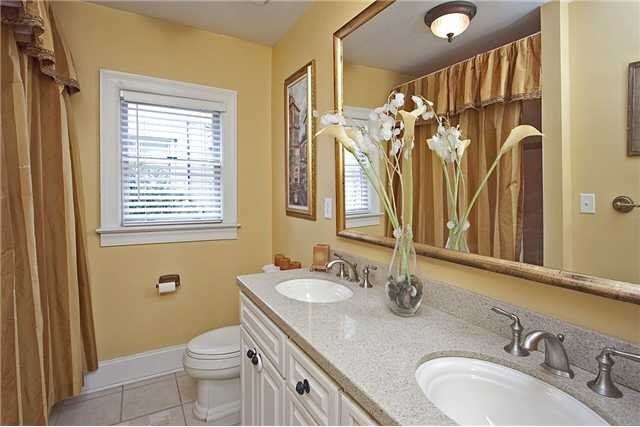 The modern downstairs bath has double sinks, tile floor and solid surface counter. 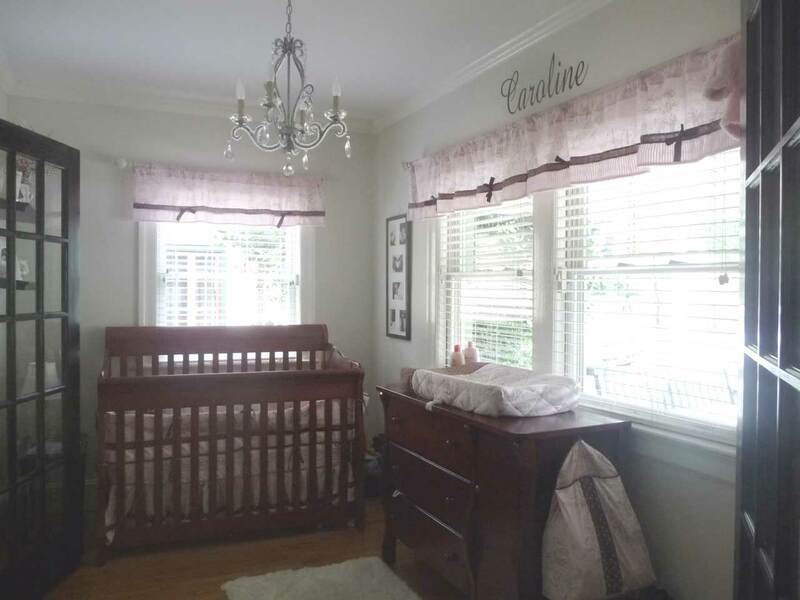 The versatile sun room/office/den at the front of the house is now used as a nursery. The Historic Oakwood neighborhood is an ecclectic urban village seamlessly surrounded by unique urban neighbors. 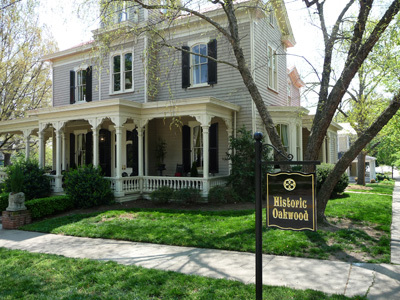 The value of property in Oakwood is increased by its status as a local Historic District, the first in NC. 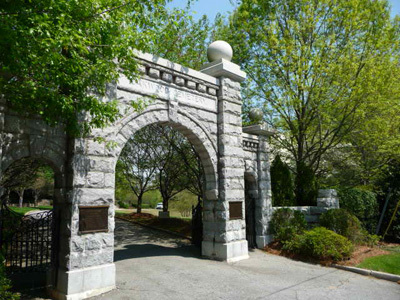 Walking through the adjacent oakwood Cemetery is walking back through history. The rolling field just inside the gate is the site of picnics and winter-time sledding. 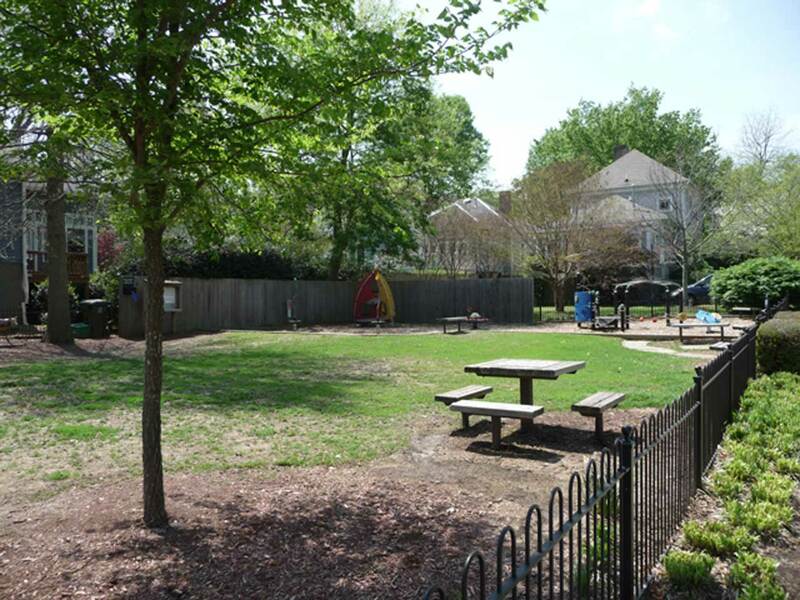 The Oakwood Common a block away is a play area for toddlers and the site of the annual spring jazz brunch, 4th of July picnic and hot cider during the Candlelight Tour on December. Canines can play at the nearby Oakwood Dog Park. 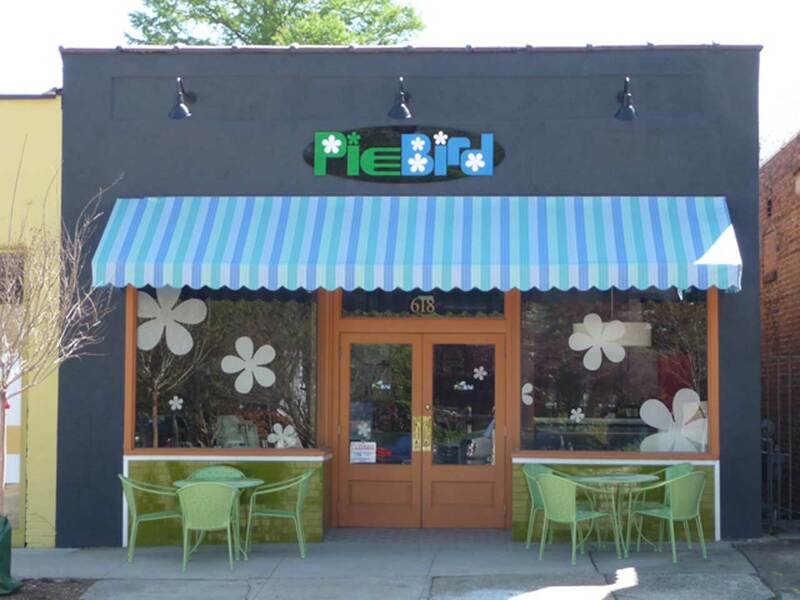 The recently opened PieBird restaurant is owned by two Oakwood neighbors. Grab lunch and a vanilla coke at the Pharmacy in a building dating back to 1910. 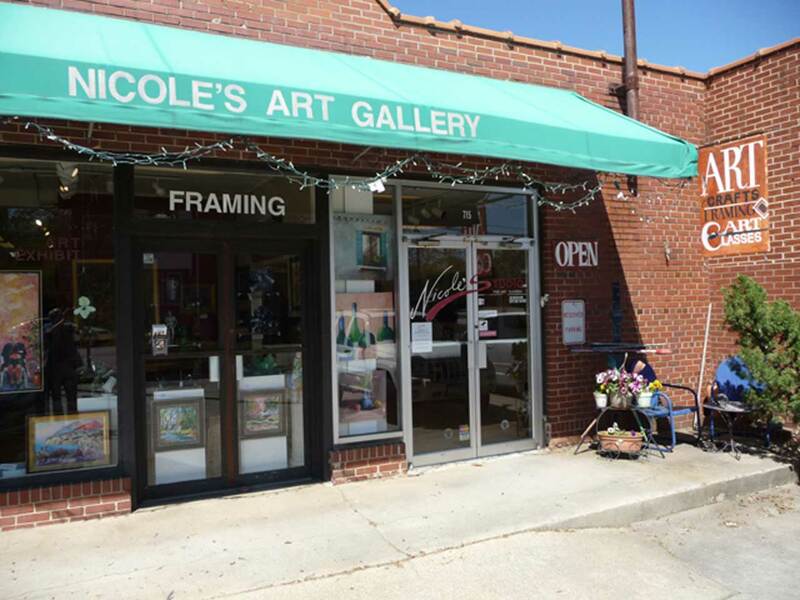 Nicole's Art Gallery is across Person Street from the PieBird and Pharmacy. Nearby Marsh Woodwinds frequently have jazz concerts upstairs. 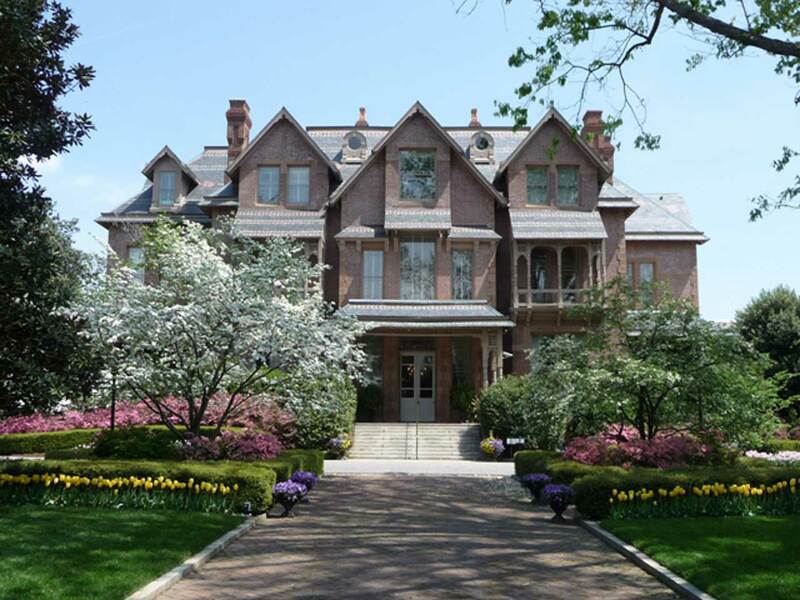 The NC Governor's Mansion is across the street from Historic Oakwood. 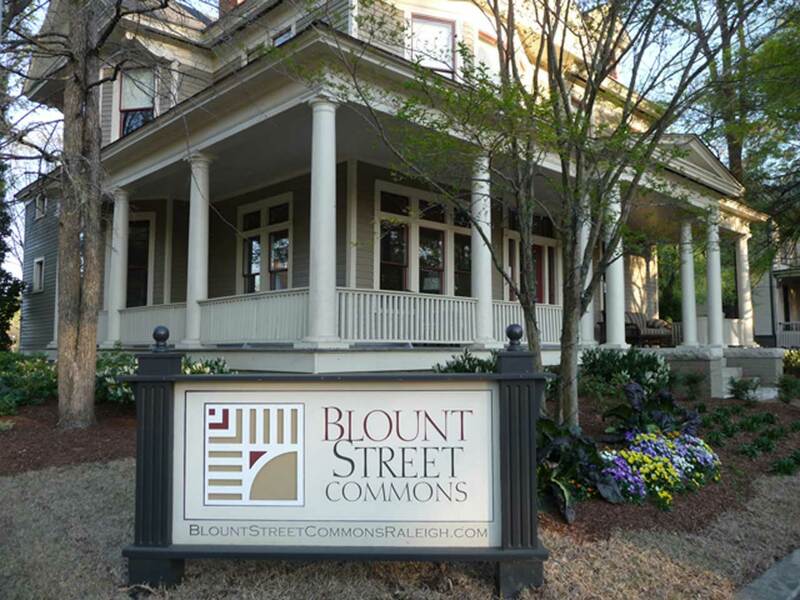 Gallery C has recently relocated to the Blount Street Commons that includes historic and new homes, commercial spaces and parks on land formerly owned by the State. 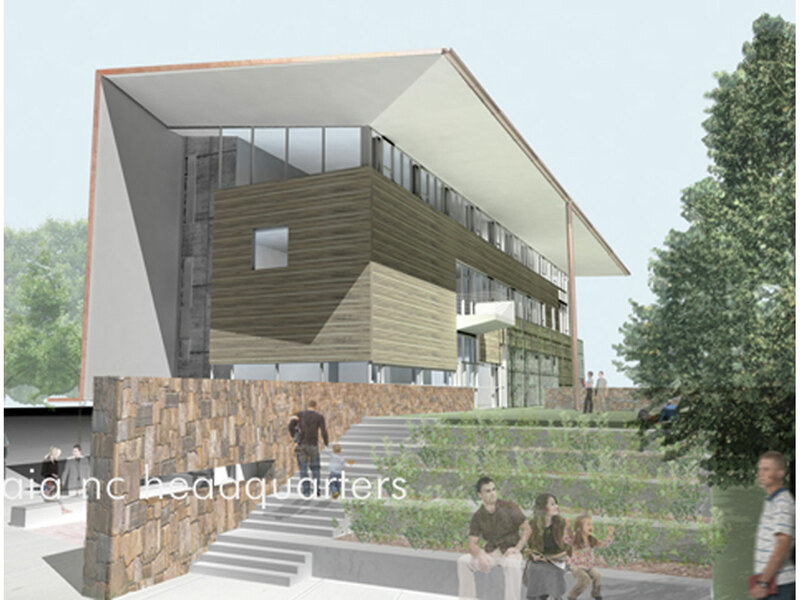 Blount Street Commons includes the new HQ for the state architects' association (NC AIA) now under construction. 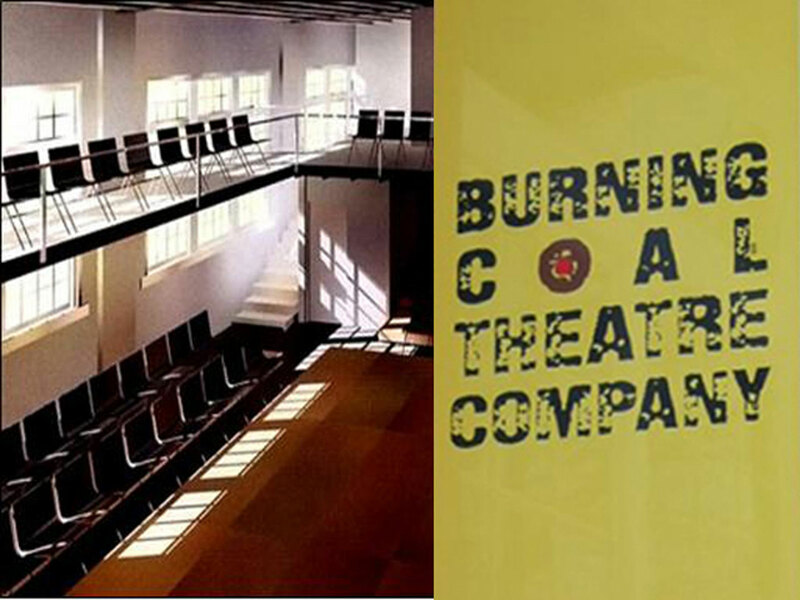 Walk across N Person St to the Burning Coal Theater located in the Blount Street Commons. It was the auditorium for the old Murphey School now adaptively renovated as senior citizen apartments. 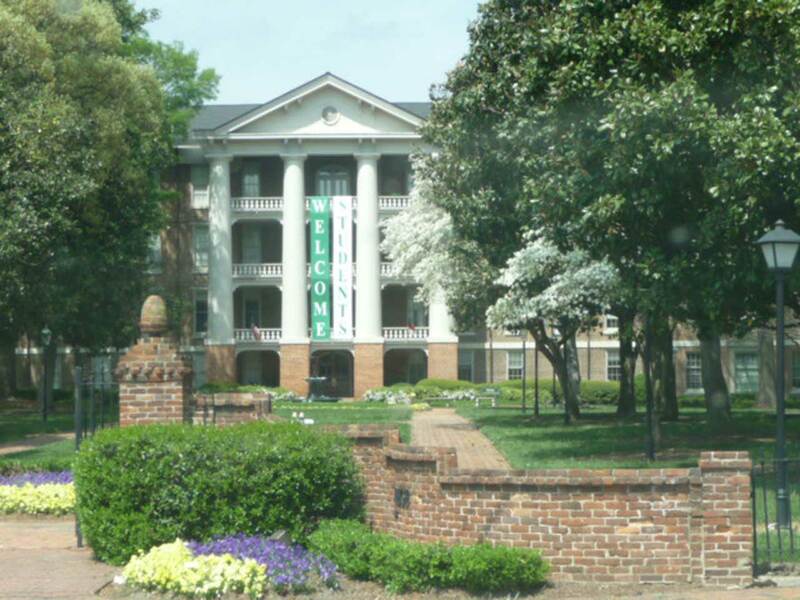 Walk a couple blocks to William Peace University that dates back to before the Civil War. 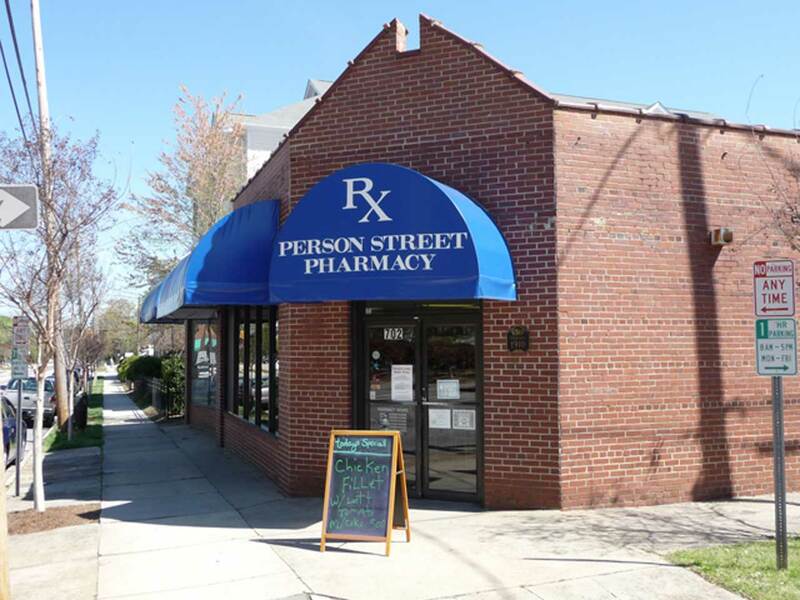 Walk one block further to the Shops at Seaboard Station that includes Logan's nursery, a hardware store, a pet shop and Seaboard 18 Restaurant. 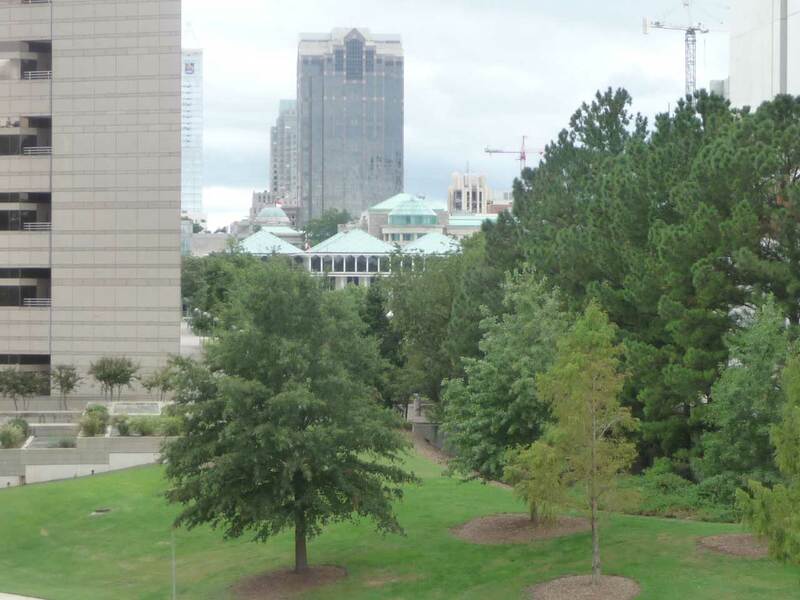 Just blocks from Oakwood are the green roofed Legistative Building and museums, and the downtown office and residential towers, seen here from the new architects building.